Gulf-front condominium prices were up 4.7 percent in 2015 compared to 2014. This is less than half of the 10 percent increase in 2014 compared to 2013. What is interesting is that you see very different things when you look at individual buildings and floor plans. Not all buildings and floor plans appreciate at an even pace. In early 2014, Calypso one-bedroom condominiums led the market for one-bedroom condos in Panama City Beach. These were the first one-bedroom condos to sell in the mid-200s. However, sellers wanted higher prices for the floor plan, and buyers weren't interested in paying more at the time. We went 11 months before a seller and buyer could agree on a $250,000 sale price, which was $10,000 less than the previous sale. What followed was several sales that ranged between $243,000 and $290,000. Identical floor plans can be very different. The $290,000 sale, for example, was located on the seventh floor and had nice furnishings and phenomenal tile. The $243,000 sale was located on a higher floor, and the buyers were unlikely to keep the furnishings. 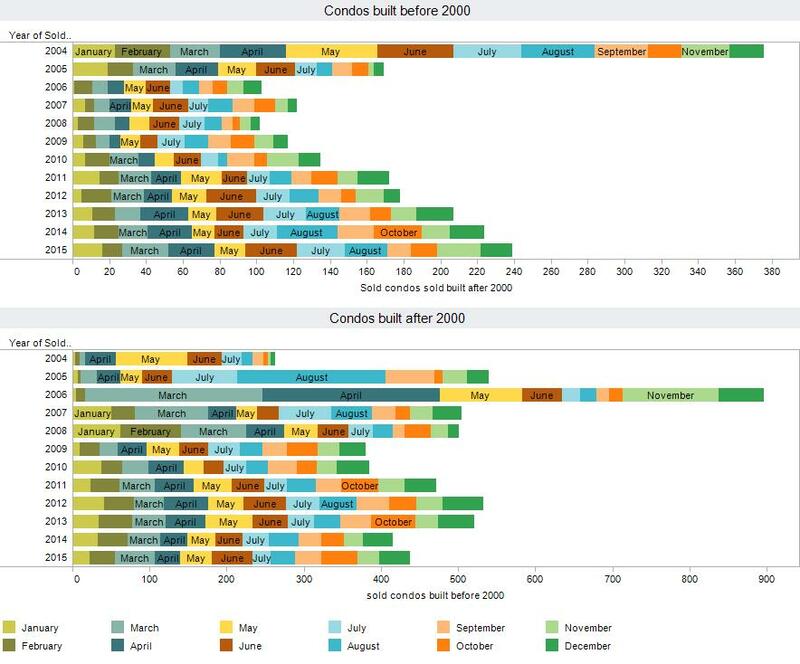 A great example of the overall condominium market is a comparison between the Emerald Isle, Ocean Reef, Ocean Villa and Twin Palms locations. The same developer constructed all of the buildings with the same floor plan. Although the amenities and locations of the buildings vary, the price appreciation for each one has continued to increase steadily since 2012. 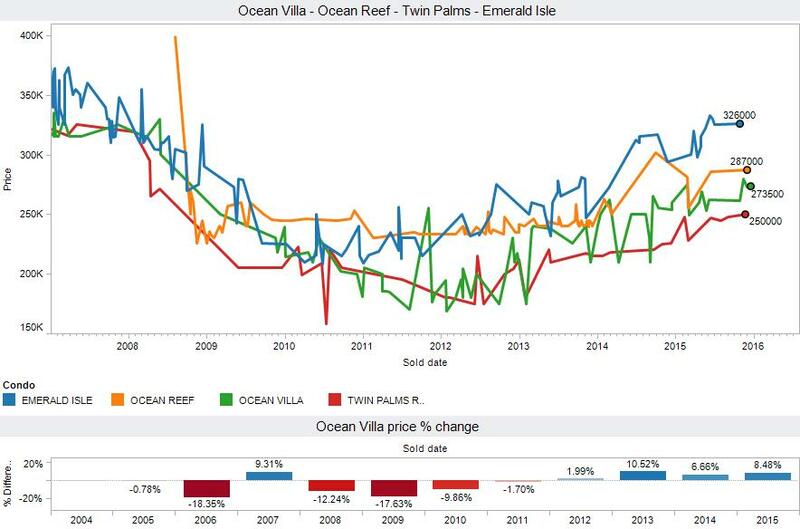 In 2014, Ocean Villa prices rose 6.6 percent. The prices increased another 8.48 percent in 2015. Condominiums constructed before 2000 have seen an increase in sales volumes for the seventh consecutive year. Condos built after that beat 2014 sales volumes by 5.5 percent. This is a key indicator because another significant fall in sales volumes in 2015 could have tested sales volumes for 2009 and 2010. The increase, however, is one of several signs that the market is healthy. 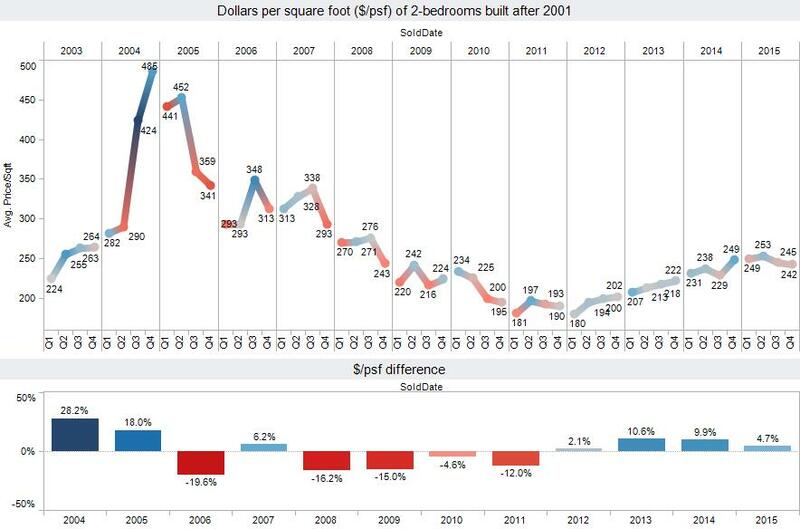 Buyers can continue to expect higher prices for most buildings and floor plans as time goes by. Each building and floor plan will have its own absorption rate, demand and supply. Although you can see price differences fluctuate up to 10 percent in the same month for a certain floor plan, this is usually warranted because of the condition of the condo, floor level, furniture, view and upgrades. The Panama City Beach condominium market has found its natural absorption rate. 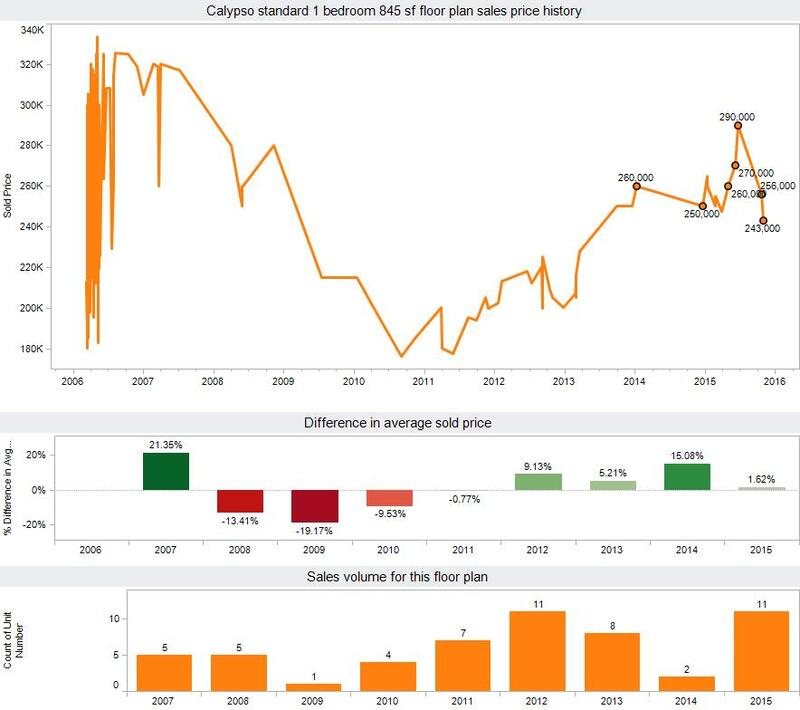 You can look back at the price history for any particular building and floor plan to get a very good idea of what to expect in the coming year. How long it will take for buyers to pay the price you are looking for? Are you willing to wait that amount of time? How much (if anything) is that amount of time going to cost you in expenses? We bought our condo in the Ocean Villa building. We have just finished a mid range renovation and are extremely happy with not only our condo but its building and ammenities. The money we invested into buying this condo in 2015 and doing the mid range renovation ($12K) has greatly increased our condo's value. I feel it is important for buyers to not only evaluate the condo they are interested in but also the building and amenities. You have to look at these things as a total package especially if you are interested in buying as an investment property. If you are looking for a condo to be your permanent residence as we were you have to consider is the building properly maintained, managed and covenants enforced. We found Ocean Villa to be the match for us. We also benefitted from the excellent realtor we had and the advice he gave us. Thanks Chris!